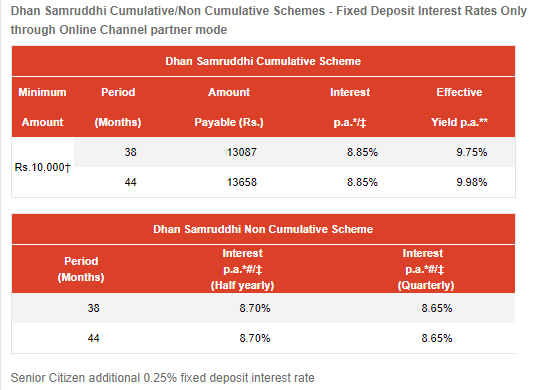 Most banks are offering interests in the range of 6% to 8% on their fixed deposits. However some best rated companies and institutions are offering interest rates higher than banks. 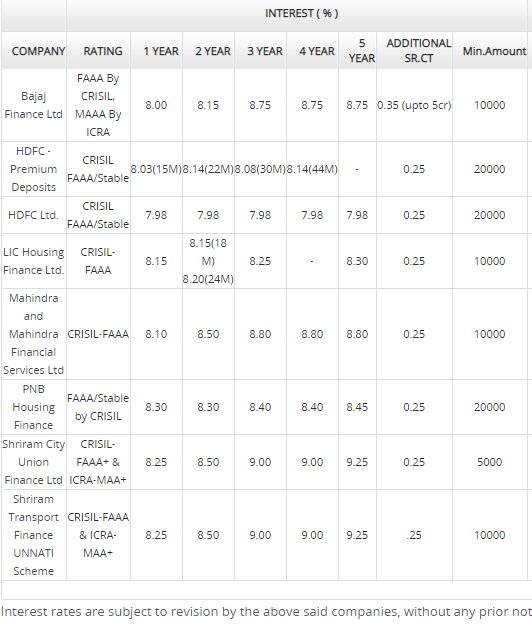 Below are the details of 7 companies which have high credit rating and offering interest rate more than banks on their fixed deposit schemes. Bajaj Finance Ltd is a NBFC (non-banking finance company) dealing in all kinds of loans like Personal, Two/Three wheeler loans, car loans etc. KTDFC (Kerala Transport Development Finance Corporation Ltd) is NBFC wholly owned by Government of Kerala and deals in Personal and Vehicle Loans among other things. Mahindra and Mahindra Financial Services is leading NBFC with focus on rural areas and is top tractor financier in India. 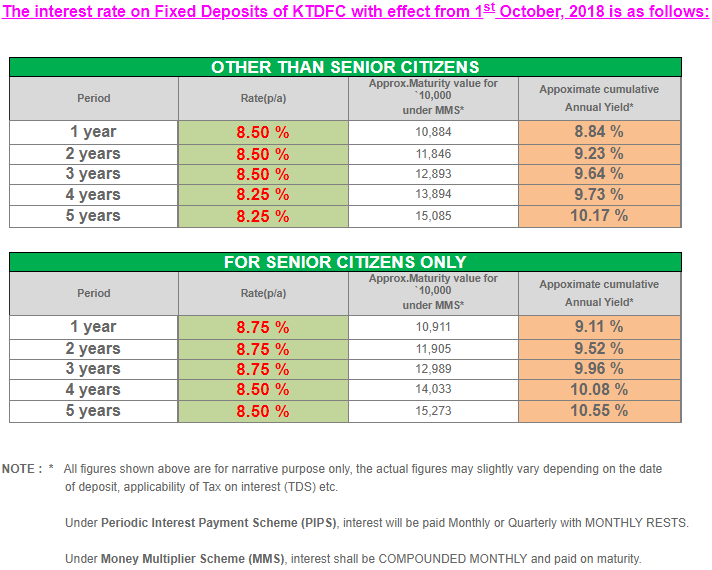 0.25% additional rate for senior citizens. PNB Housing Finance Limited (PNBHFL) is a public sector housing finance company (HFC) and is promoted by Punjab National Bank. The company provides housing loans & loan against property as a part of its product portfolio. Shriram Transport Finance is NBFC mainly dealing in Commercial Vehicle Finance. 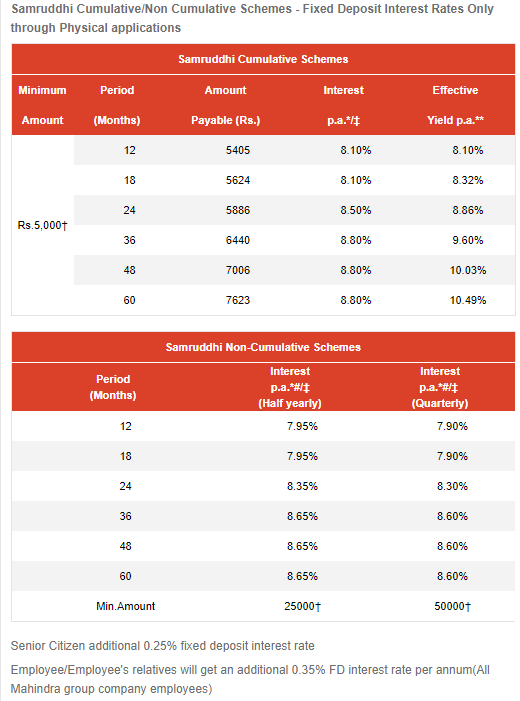 Additional interest of 0.15% p.a to employees of Shriram Group Companies and their relatives. 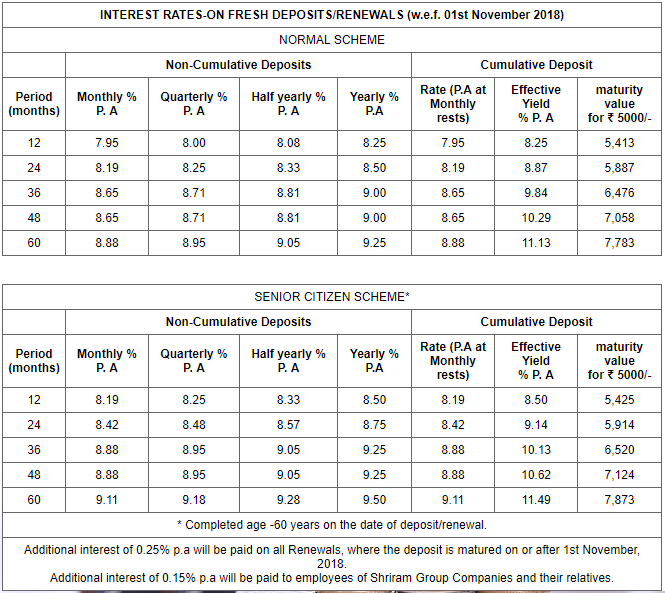 Additional interest of 0.25% p.a on all Renewals, where the deposit is matured on or after 1st November 2018. Fixed deposits are accepted in multiples of Rs.1000/- subject to a minimum amount of ₹5000/- per deposit for cumulative deposits and ₹10000/- per deposit for non- cumulative deposits. Shriram City Union Finance is NBFC mainly dealing in retail consumer finance and offers various secured and unsecured loans like home loans, personal loan, business loan. Post office Time Deposit (Fixed Deposit) Account can be opened in any post office. 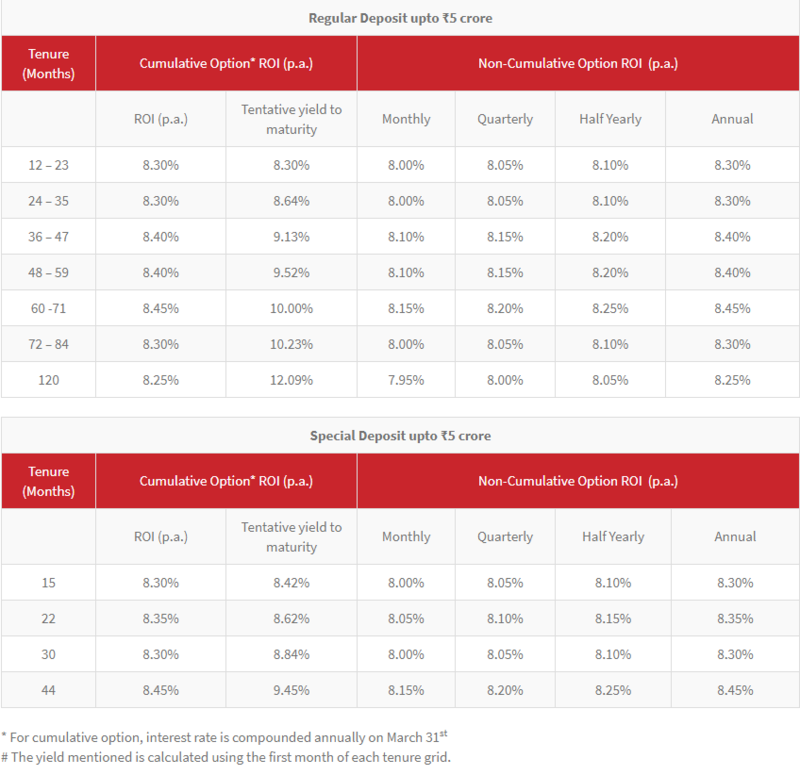 The interest rates are reset at the start of every financial year. 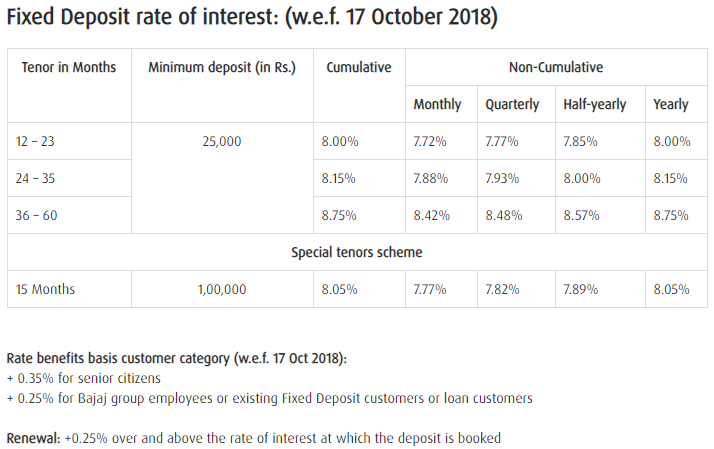 As of today they are offering higher interest rates than most of the banks. Once you have deposited the money, the interest rate is locked. 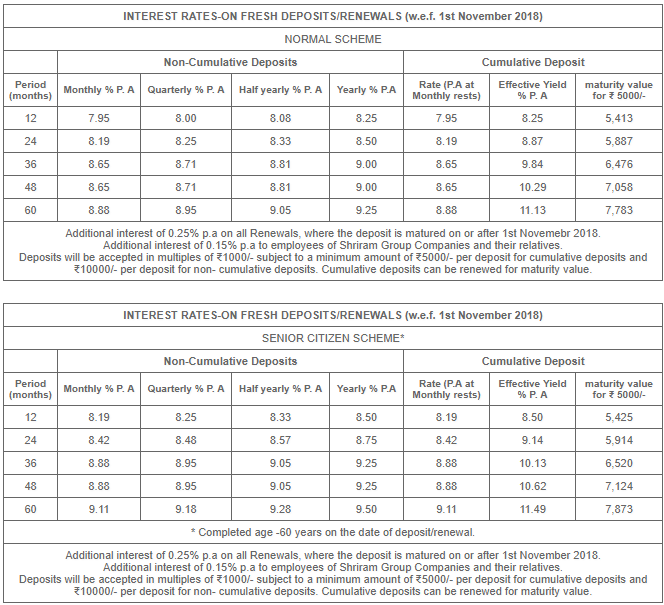 The table below gives a list of company fixed deposits along with other details. 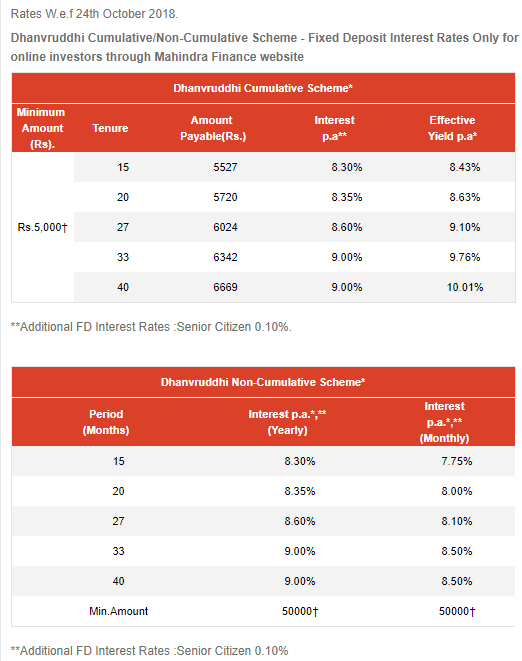 Companies would deduct TDS at the rate of 10% of interest, if the interest earned is more than Rs 5,000 in a financial year. The interest received on Company Fixed Deposit is fully taxable. The interest would be added to your annual income and taxed at marginal tax rates. Opening Fixed Deposit is more tiresome as you need to fill forms, visit company branch or get hold of their agents.Also have to give fresh documents for KYC. Bank FDs can be opened online, which is much more convenient. The above companies are offering have the highest credit rating (which means very low chances of default) and are offering interest rates 1% to 2% higher than the bigger banks. You must look into them for your fixed income portfolio especially if they have easy approachable branches or agents near you. 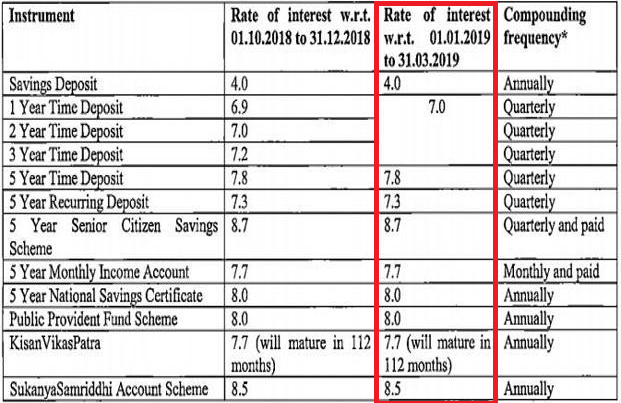 What about DHFL company deposit………..
We used to recommend DHFL FD but they had ratings downgrade and also a major crash in their share prices. This may impact their ability to repay FD investors. Right now stay away and wait for things to stabilize.